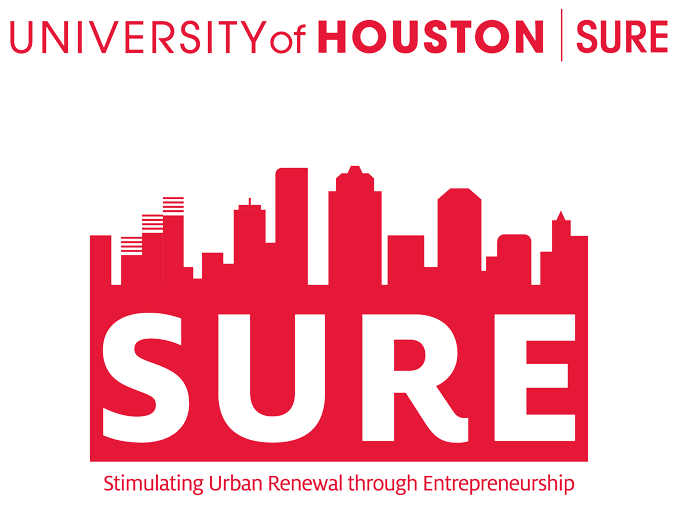 Bauer College’s SURE™ Program pairs MBA students and industry experts with aspiring entrepreneurs to provide consultation and guidance to launch their businesses. Houston has long been known as a place where people from all over the world come for a fresh start, to dream big and make their mark. On SURE™ Graduation and Pitch Day this Saturday, two cohorts of entrepreneurs from the Bauer College SURE™ Program (Stimulating Urban Renewal Through Entrepreneurship) will celebrate movement toward professional goals, stepping into the next phase of launching and running businesses ranging from boutique desserts to encouraging sustainable housing in blighted urban neighborhoods. The event is from 8:30 a.m. to noon on April 29 in Michael J. Cemo Hall’s Stubblefield Auditorium on campus, with special guest Houston Mayor Sylvester Turner. Other special guests include U.S. Representative Sheila Jackson Lee, University of Houston System Board of Regents member Paula Mendoza and past chair of the Regents Beth Robertson, Tim Jeffcoat, District Director of the U.S. Small Business Administration Houston office, and Kimberly Johnston, founder and CEO of Goodworks Houston, among others. Megone Trewick will be among the graduates from the Spring 2017 class in the program founded by Professor Saleha Khumawala, the Robert Grinaker Professor of Accounting at Bauer College. Trewick and her husband have a passion for rehabilitating dilapidated housing that might otherwise be boarded up or rented to tenants despite substandard living conditions. “That’s the problem we want to address,” said Trewick, a full-time attorney and part-time realtor as well as co-owner of Trewick Investments & Development. Attending SURE’s classes for 11 weeks with Bauer students as consultants has helped Trewick and her husband reshape their business plan in order to attract the type of socially conscious and ethical investors they hope to find to help their business expand. Another graduate of the program, Nic Shar, has found its networking opportunities helpful. Shar founded Shadaw Journal, a nonprofit organization that helps create community and support for Burmese immigrants in the Houston area and the United States. “I am really looking forward to the incubation program,” Shar said, referring to SURE™ Incubator, a second phase for graduates of the program, which offers interaction with graduate students, business professionals as mentors and more targeted help with specific issues pertaining to their businesses, such as accounting or supply chain management. Tickets to the event are free but must be reserved in advance at this link.